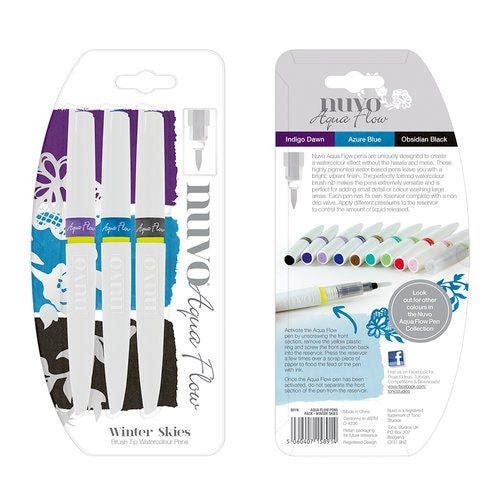 Create cool and crisp winter-themed projects with the Winter Skies Aqua Flow pens from the Nuvo Collection by Tonic Studios! The package contains three highly pigmented and water-based pens in Indigo Dawn, Azure Blue and Obsidian Black. These pens have a versatile watercolor brush nib that can add small details or color wash larger areas. Each pen has a non-drip valve and its own reservoir.